THE WORLD’S FIRST EVER INSTANT PETS! You are about to begin a NEW amazing hobby that is so fantastic, it STAGGERS THE IMAGINATION! With only water and the “crystals” in your Sea-Monkey® kit, you will create INSTANT-LIFE®! Yes, you will raise up the world’s only living, breathing INSTANT-PETS® amazing live SEA-MONKEYS®! With the act of giving your Sea-Monkeys® life, you join in the immensely rewarding experience of fellow hobbyists throughout the world! As a creator of Sea-Monkeys®, you share with them, the knowledge that through your willingness to explore the unknown, you have stepped across the threshold of one of the strange worlds of tomorrow’s science … TODAY! A true MIRACLE of nature, Sea-Monkeys® actually exist in SUSPENDED ANIMATION! While inside their tiny eggs, yet unborn, they burn the “spark of life” for many YEARS! The Instant-Life® crystals in which the eggs are enclosed, preserve their viability and help to-extend still further, their unhatched life span! 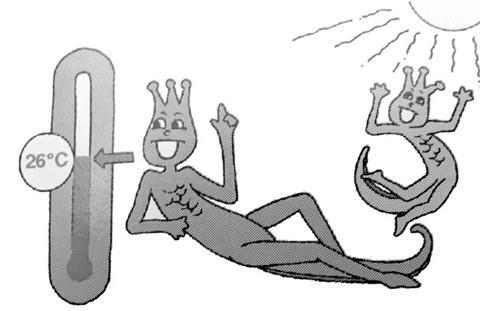 Sea-Monkeys are real TIME-TRAVELERS asleep in biological time-capsules for their strange journey into the future! The name scientists have given this amazing rare process is “cryptobiosis” which means “hidden life.” Among the types of life on Earth that are cryptobiotic in early stages of development are the seeds of higher plants (wheat grains from the tombs of the ancient Egyptian Kings have sprouted after being sealed in urns for more than 2,000 years), the larvae of certain insects, and the thick-shelled eggs of some crustaceans such as Daphnia, Seed Shrimps (Ostracoda) and Brine Shrimp (Artemia salina). 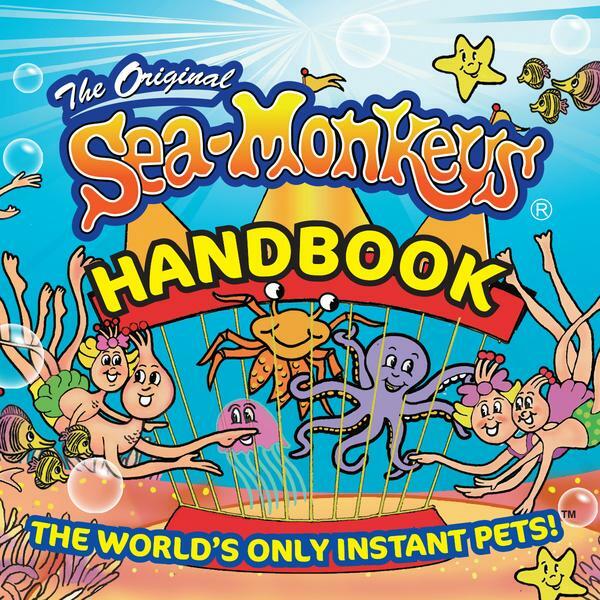 Sea-Monkeys® too belong in this category, since they are a variety of Artemia. A relative also of Lobsters, Crabs, Fairy Shrimp and other crustaceans. instead of originating in the ocean, Artemia are found in salt lakes and salt evaporation flats. The waters of these areas are often SO salty that Artemia may be the ONLY non-microscopic animal inhabiting them. Packet No. 1 (Item No. 28 in the Parts and Supply List) is a “one time” formula. This means that it is needed just once—to start the “system,” and is never used again. It “conditions” the water so that when Packet No. 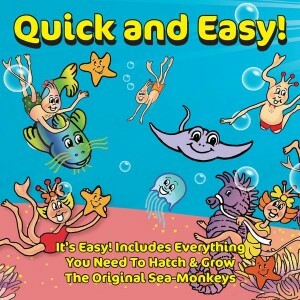 2 “Instant Life”® is added, you will SEE your Sea-Monkeys® HATCH ALIVE! Besides its vital “role” in the actual production of live Sea-Monkeys®, “Water Purifier” neutralizes the poisonous metal oxides like Copper Oxide (that comes from copper plumbing) and other harmful elements such as chlorine and floride (both of which are known aquarium “killers” present in most city water sources). This is why I strongly suggest using bottled or “spring” water ‘ instead of “tap” water from your sink. However, if you cannot afford it, or if bottled water is not available, boil the tap water, and let it stand overnight before using it. This reduces the contamination and amount of impurities. “Water Purifier,” when added, will “clean up” the rest of the dangerous toxic substances. – 70 F (21C) to 76 F (24C). Cut open sachet No 1. “Water Purifier,” pour the entire contents into the water and stir for 1 minute or until the powder has completely dissolved. Then stand the container safely away in a well-lighted place away from direct sunlight, excess heat or cold for 24 – 30 hours. After you have waited at least 24 hours, open Packet No. 2 “Instant-Life” and pour the entire contents of the packet into the purified water. Stir gently for about one minute so that the crystals begin to dissolve. At the same time, some of the tiny Sea-Monkey® eggs will hatch and INSTANTLY you will actually see your newborn pets — ALIVE! Place a strong light BEHIND the container OR lift the container to a light source such as a sunny window or a table lamp. Now, while the water is still swirling from your stirring, observe it closely and you will see tiny white “dots” that are struggling to swim AGAINST the direction of the current. These “dots” are your newly hatched LIVE baby Sea-Monkeys®! If you didn’t see it actually HAPPEN, could you ever have believed such a wonderful thing was possible? Without a doubt, here is a true case of “science fiction” becoming “science fact”! Newly-hatched Sea-Monkeys are no larger than the “period” at the end of this sentence. As they mature they will not only change their shape and appearance, they will grow incredibly larger than their size at their moment of birth. By comparison, if human babies grew so many times larger, YOU might be 200 FEET or 60 METRES TALL. Sea-Monkeys® must ONLY be fed Packet No. 3 or your choice of the foods or vitamins listed! These nutrients were developed after a study of THEIR special needs. Never feed them “fish- food” or any OTHER kind of food or “pet food.” They simply CANNOT LIVE on ANYTHING other than these special foods. With a diet of our Sea-Monkey® foods, your pets will grow to their maximum size, remain strong and frisky, and live a long time. A “starter” supply for the newly hatched babies has been added to Packet No. 2 “Instant life®”. After they hatch DO NOT FEED your Sea-Monkey for FIVE (5) to SEVEN (7) DAYS! Special micronized food is pre-mixed with the “Instant-Life®” formula to carry your pets through the first week after birth. Because they are so tiny when newly hatched, they will only be able to eat the food that is in the formula. Adding extra food will feed BACTERIA that multiply rapidly and consume the oxygen in the water, suffocating your pets. However, because the formula is balanced, it is unlikely that this will occur. Always measure the amount of food you feed your pets with the feeder spoon, (Part No. 1). Use a small scoop for baby and young Sea-Monkeys. For larger troops of adult Sea-Monkeys (over thirty animals), use a good scoop, but only fill it level. Never use a heaping amount of food. 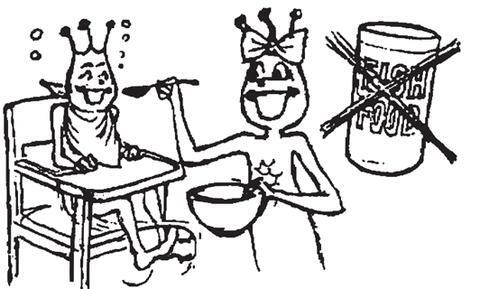 Because the new basic “Growth Food” formula is concentrated, feed your Sea-Monkeys just once a week with only ONE scoop full of food. Healthy adult Sea-Monkeys (1/2”- 3/4” long or 12mm -19mm) will have a dark streak running the length of their bodies. This indicates that they are eating property and have a full “gut.” If the water becomes cloudy, do not feed again until it turns clear. Cloudy water indicates that there is too much uneaten food in the water. When your Sea-Monkeys have lapped up ALL of the food, the water will again become crystal clear. It is natural for the water in your Sea-Monkeys container or aquarium to evaporate slowly. When the water level drops more than two inches, replace it with plain water, or preferably bottled spring water (if available). Nothing else is needed at this point. As the water evaporates, the salts and minerals in the formula become concentrated, and helps the growing Sea-Monkeys to moult their shells. Because Sea-Monkeys do not have any bones like the VERTEBRATES (animals with backbones) which includes fish, reptiles, birds and mammals whose skeletons grow internally, the Sea-Monkeys’ shells are their skeletons. To GROW they cast off their old shell or skeleton, and grow a new one. Each time this happens they get larger, and the new shell hardens and thickens over the soft tissue that covers their bodies. ALL shellfish including lobsters, crabs, cray fish and their Sea-Monkey relatives grow in this manner. In the case of Sea-Monkeys, it happens seven times from babyhood until they become adults. However, you must replace the evaporated water because the concentrated salts in the formula will prevent NEW Sea-Monkey eggs from hatching. If new eggs fail to hatch, the “life cycle” of your Sea-Monkey “colony” will either be slowed or limited to only one or two generations. Watch the water level, and to be on the safe side, never let more than 25% evaporate before adding more water. Sea-Monkeys should be raised in a place where temperature is fairly constant. They grow best at warm room temperatures above 70° Fahrenheit (21° Celsius). They will however, adapt to cooler climates such as found in Northern Europe and Canada. But if raised at lower temperatures, their growth rate will be slightly retarded, and their size will not usually exceed 1/2” OR 12mm. This will NOT affect their life-span, and these Sea-Monkeys® should live just as long as their brothers and sisters raised at warmer room temperatures. Exposure to daylight is helpful, and they will enjoy frolicking in the sunlight so long as it doesn’t excessively HEAT their water. Light also stimulates green algae or brown diatom growth (live microscopic cells that Sea-Monkeys eat in nature). Green algae (a plant) are especially beneficial because they produce oxygen as well as act as a supplementary food source. Also consider keeping them under a “Plant Light” (available at many florist shops and department stores). Plant lights illuminate the water and also encourage the growth of Algae. These lights are very inexpensive, and come in both bulb and tubular shapes, and in various sizes. THE UNBREAKABLE “CHAIN OF LIFE”! Sea-Monkeys reproduce like other advanced animal species. A male Sea-Monkey and a female Sea-Monkey mate sexually, and thus new life is created. Lesser forms of life such as hydra and other simple animals reproduce through budding or even through mitosis (splitting into two) which occurs among single-celled animaculae (micro-animals) such as Amobae and Paramecium. Among Sea-Monkeys however, in the absence of a mate, a strange, wonderful thing happens. Incredible as it may seem, some female Sea-Monkeys bear offspring arthenogenesis or self- conception! Parthenogenesis in Sea-Monkeys is called “Meiotic” Parthenogenesis. Only Meiotic Parthenogenesis permits THE CONTINUOUS PRODUCTION OF AD- VANTAGEOUS COMBINATIONS OF “GENES” (complex, self-perpetuating protein molecules that transmit hereditary characteristics). Summed up, this means that Sea-Monkeys have evolved a most extraordinary tenacity for life. It also suggests that if just a single female Sea-Monkey survived a cataclysmic catastrophe that wiped all other animals including Sea-Monkeys off the face of the earth, it is possible that this Sea-Monkey “Eve” could recreate her species without an “Adam” and the race of Sea-Monkeys would live again! IPARITY: Meaning: “live birth”. In the same manner as other advanced animals, the Sea- Monkey embryo develops in the mothers body until it is fully There is however, no placenta or connecting “lifeline” between mother and child. When the babies emerge from their mother, they have flippers which enable them to swim almost immediately. A tiny egg sac outside their bodies provides nourishment for the first day or two until they gain strength and are able to seek food. Therefore, the baby Sea-Monkeys are quite self-sufficient, almost from the moment of their birth. OVIPARITY: Referring to birth through hatching from an egg. This is the same process through which birds and most reptiles and amphibians are born. However, the mother Sea- Monkey does not build a nest or provide a hatching place for her eggs, instead she deposits them directly into the sea. The action of the wind and waves carry them to shore where they Eventually, they are swept back into the water by the tides. 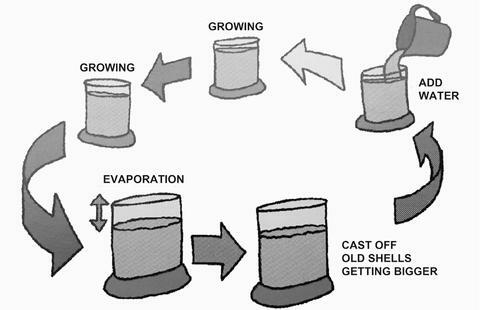 This cycle of drying and re-wetting, “triggers” a biochemical reaction that induces the eggs to swell up, split, and release the live baby Sea-Monkeys. OVOVIVIPARITY: In this reproductive process, the embryo Sea-Monkeys develop in eggs that remain within the mother’s body. However, these eggs are independent of the mother Sea-Mon- keys “body chemistry”, which simply serves to protect her babies until they are In effect, the body of the mother is the “nest” for her fertile eggs. When ready, the developed babies hatch from the eggs while yet inside their mother, and they, thin are expelled alive into the sea. NECROOVOVIVIPARITY: This is a truly marvelous example of how nature protects and preserves life even under the most extreme conditions. If a pregnant female Sea-Monkey dies with viable oviparous eggs, the embryo Sea-Monkeys will still continue to develop until they are born alive. Protected by anti-toxins in their egg shells, the babies remain snug and safe and grow until they hatch, even though their mother is no longer. PRETERMITTED OVIPARITY: Suspended-animation, the dream of science fiction writers is a reality in the life-cycle of Sea-Monkeys! An unknown incredible biological mechanism stops the development of the embryo although the baby Sea-Monkey remains alive, sealed inside the egg as if it were a “time machine”. At some time in the future it will again commence to continue its cycle of development and will be born alive from its halted state of growth. As long as it is dry, the egg remains preserved with its precious “cargo of life”. The trigger” that restarts its development is water. When the egg is immersed in water, the embryo will again continue to grow. If the water is of the proper chemical balance and pH (a measure for acidity-alkalinity of the water), the baby Sea-Monkey will live after hatching. If not, it will die. That is why your Sea- Monkey formula is so important. When added to ordinary water, it makes it the perfect environment in which your Sea-Monkey will live and grow after birth. For how long Sea-Monkeys can remain alive in suspended-animation has not been established. In laboratory experiments, some eggs that were dated, hatched after being stored for more than a DECADE! Lotus seeds found in a prehistoric Korean “burial ship”, sprouted alive when planted, after a “sleep” of centuries! Decendents of these miraculous plants are actually in cultivation today by Japanese horticulturists who acquired them. Considering the way some forms of life cling to survival under seemingly impossible conditions, it is not unreasonable to wonder if Sea-Monkeys too may be able to survive for untold ages? Once they have reached the adult stage of growth, Sea-Monkeys will begin breeding by themselves. However, there are some things that you can do to encourage their maximum breeding potential. As an example, at room temperatures (in the 65° to 75° or 18 – 24 celsius range), the mating tendency will be at its highest point. At lower temperatures, they will rarely mate. When breeding, the male Sea-Monkey pairs himself with a willing female by grasping her at the root of her tail (where it joins her torso). In this manner, the male and female swim together (with the male trailing behind the female) in an aquatic “dance of courtship”. If for any reason your pets do not mate, first make sure that there are MALES present. If not, you’ll have to wait until you grow some. 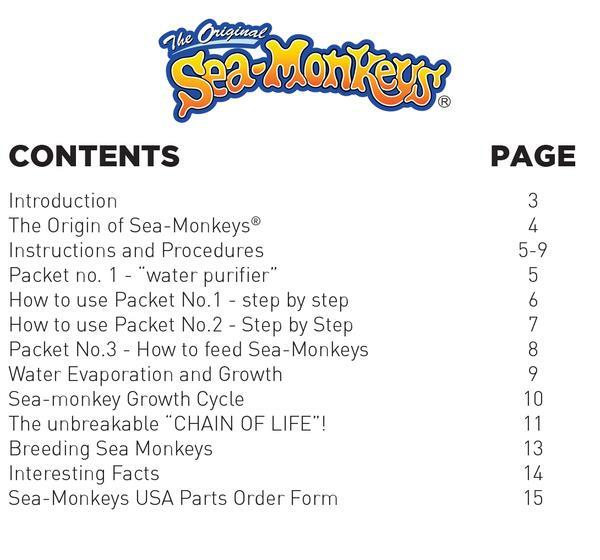 Sea- Monkeys® Were First Invented In The USA In 1957. In The 1960’s – 1970’s Were Sold By Mail Order From Advertising On The Back Of Comic Books. Astronaut John Glenn Took Sea-Monkeys Into Space On October 29, 1998 Aboard Space Shuttle Discovery During Mission Sts-95. After Nine Days In Space, They Were Returned To Earth, And Hatched Eight Weeks Later Apparently Unaffected By Their Travels. Sea-Monkeys® Come In Two Sexes: Male And Female. Upon Reaching Young Adulthood, You Can Easily Tell The Sexes Apart. The Boys (Males) Have What Looks Like “Whiskers” Growing Under Their “Chins” That Are Appendages That They Use Like Arms, Usually To Clutch Onto A Female. The Girls (Females) Have Smaller Heads, And The Most Noticeable Feature Is A Small pill like Egg Sac, Located Where Her Tail Joins Her Body. 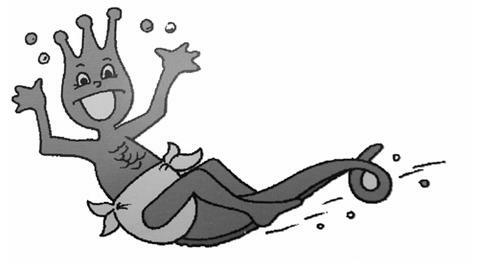 Newly Born Sea- Monkeys® Are Acorn Shaped And It’s Impossible To Tell The “Difference” Between The Sexes. Females Are Usually Larger Than Males And Can Reach A Length Of 3/4” Or 19mm, While The Length Of The Males Is About 1/2” Or 12 Mm. In 1992 The Amazing Live Sea Monkeys® Television Series Aired 11 Episodes. They’ve Been Featured On South Park, Spin City, Roseanne, Night Court, The Simpsons, 3rd Rock From The Sun, American Dad, It’s Garry Shandling’s Show, Desperate Housewives And More.